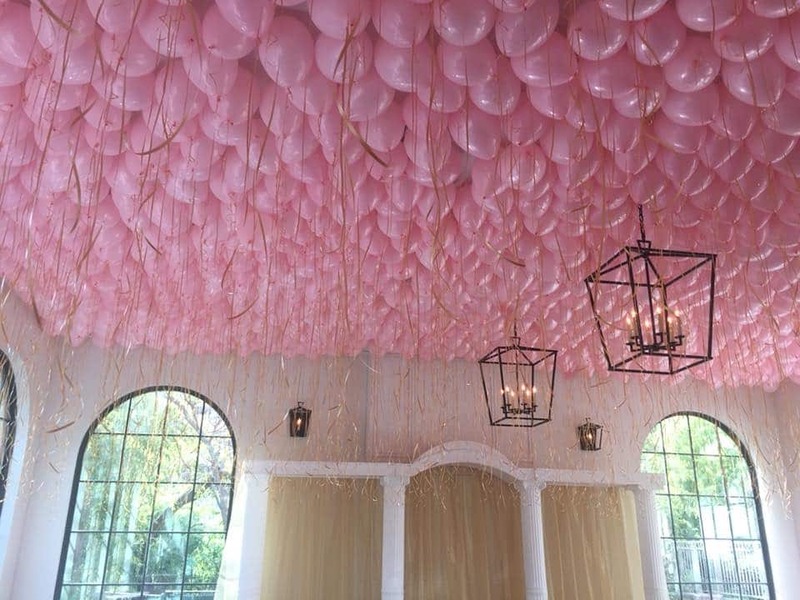 Balloons Now was hired to cover the entire ceiling with pink balloon decor for a client’s wedding. We inflated over 1,200 pink balloons with helium and tied gold ribbons to each one. The bride and groom loved the effect it gave to the reception hall! Check out our other balloon decor projects! or celebrating a corporate milestone, give Balloons Now a call or text at 972-400-1907 or email us at info@balloonsnow.com for your next party or event.